I am indulging my resurgent interest in upright bikes. But even there, my preferences are decidedly off to the side of the bell curve. Santa is bringing me the following in about 6 weeks: Although mine will be burgundy. It’s a Pashley-Moulton TSR-30. I am getting the separable version, in particular, as it only adds 100 bucks. Ok – what’s this for, then? Well, the heart wants what it wants. Or doesn’t want, as the case may be. I started off trying to find a nice used one, but Moultons are so rare that isn’t really much of a money saving affair. For a marginal amount extra, I can get a new one, with all modern components, etc. 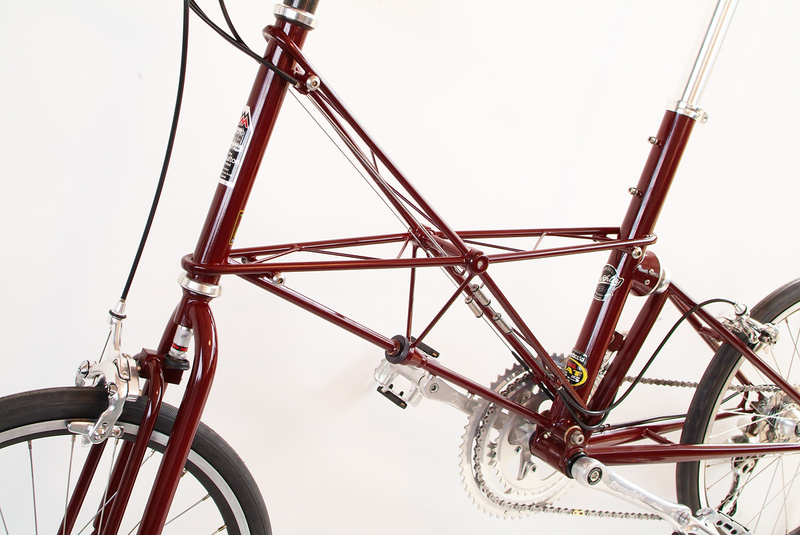 My wanting a Moulton is completely irrational, I must admit. I don’t really have many solid plans for it. I will still do audax and touring on my recumbents. So peak performance and comfort is not it’s mission. I don’t do much traveling with a bike, and no commuting, so the separability / portability issue is (while nice), not a major issue for me either. I guess I want one simply because I like how they ride. I would only use it for 2-3 hour routine pleasure rides. And the Moulton would provide some interest and variety. But I can’t entirely rule out using it for the occasional 100K perm pop or even a 200K perm or brevet. I did get to try a space frame Moulton circa 1993 (I think) at a century ride. I just rolled into the finish and were at a station where they had food and such, and right behind us was a fella on a Moulton. We got to chatting about his bike and he offered me a test ride. I only rode it for about 5 or 10 minutes but I loved it. The handling, overall feel, and ride quality (smooth, efficient) of the of the combined effects of the space frame, small wheels, and suspension was unique, and totally awesome, dude (hey, it was the early 90’s). It’s not everyone’s cup of tea, but it sure is mine. Pictures to follow in February when I get it on the road…. So…did you get it yet?? 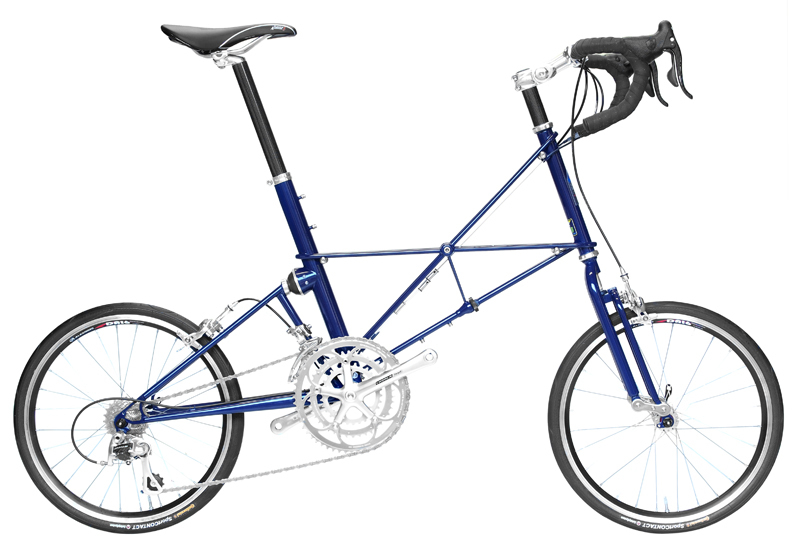 I see that Soma Fab makes a “mini velo” with 20″ wheels, if you wanted to go budget…but I’m noticing now that it doesn’t have the unique suspension of the Moulton. No the Moulton is not here yet and the suspense is killing me. It’s on its way across the Atlantic as we type, though. I looked at Bike Fridays too before I decided, but the lack of suspension is what steered me away from that option.